It’s already been a pretty wild off season in the NHL with lots of big names changing teams. As we are in the dog days of summer, we might as well get prepped for the 2016-17 season and discuss the fantasy impacts of all these moves. I introduce to you Offseason Fantasy Quick Hits. I will be discussing the fantasy impact of all major moves made by all NHL teams over the course of the summer. 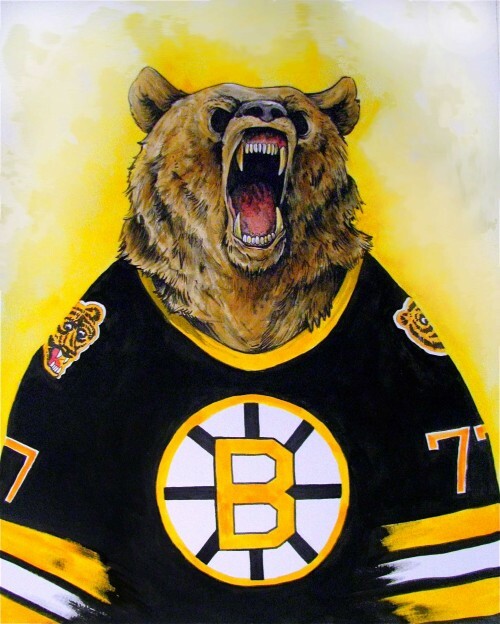 Part nine of the series previews the Boston Bruins for this upcoming season. The Bruins are rebuilding on the fly as they have missed the playoffs and finished 9th in the Eastern conference for two years straight now. The two major fantasy impacted moves from all of the players gained/lost this off season are the arrival of David Backes and the loss of Loui Eriksson. To be honest, I’m not so bullish on the Bruins top guys from a fantasy perspective. Zdeno Chara is in decline but he is definitely still draftable. Just don’t expect him to be a top fantasy d-man anymore. 40 points is still attainable for him. David Backes for me is a guy who does more in real life than he will in fantasy. If I were a Bruins fan, I’d be stoked to have him on my team (even though he is beginning to decline and signed an expensive long-term contract). In fantasy, unless your league counts PIMS, he isn’t all too valuable. He is consistently ranked within the top 100 players pre-draft when in reality he has cracked 60 points only once in his career. He is a reliable 25 goal scorer and goal scoring does come at a premium, but in the top 100 picks I’m looking for someone who will likely score 25 goals and 55 points but has the potential to put up much more. Backes is a safe pick, although he does have both winger and centre eligibility which makes him slightly more attractive. Also, David Krejci made GM’s like myself look brilliant when he was snagged as a late round pick last year (due to an injury plagued season 2 years ago which gave him a low pre-draft ranking). Now that he amassed 63 points in 72 games last season, he will be ranked much higher and is no longer a value pick. FWIW, I do like Krejci and think he can put up 20-25 goals and 70 points if he plays a full season. Brad Marchand is coming off a career year. He’s a guy entering his prime years although I wouldn’t expect his production to be much better than last year as a lot went right for him. While I don’t think he will put up 37 goals again he is a pest and a net front presence on the powerplay who should put up 30. Patrice Bergeron is a guy always ranked in the top 30 and a guy I will never draft. Last year he did put up his best statistical season since his first two years in the league, but he is always gonna be a guy who has more value in real life. He is a perennial Selke candidate who shuts down opposing team’s top lines and gets the toughest matchups against opponents on a nightly basis. A guy I’m taking in the first 3 rounds in fantasy, I want a 90 point ceiling, not a 70. Nothing against the player as I love Bergeron, just not a fan in fantasy based on where he is ranked year after year. Torey Krug, is a consistent 40-50 point D man and you should expect more of the same this year. If you need a late round defenseman, Colin Miller has the potential to put up points. He’s already put up big numbers in the AHL and put up respectable numbers in his first taste of the NHL last year. I think he could produce 35-40 points this year, especially if he can increase his powerplay time. Don’t draft Matt Beleskey just because he plays in the Bruins top 6. Ryan Spooner – Put up 50 points last year. Only 24 years old. If he gets a spot in the top 6 or finds himself on the top powerplay unit again I could see him potentially getting 60 points. Could be a late round draft gem. David Pastrnak – Extremely talented. What’s most impressive is that he was a late first round pick in 2014, but has played more NHL games (97) then any player in that draft except for two guys, who were drafted first and third overall respectively. People seem to forget he is only 20 years old. He had some good chemistry with Krejci last year. He could very well put up 50-55 points as a late round draft steal. There’s a trio of forwards who put up very impressive numbers in the AHL for the Providence Bruins last year: Frank Vatrano, Alex Khoklachev, and Seth Griffith. All 3 2 of these guys could crack the big league roster this year – Khoklachev has bolted to the KHL. If any of them get top 6 time they could pay off dividends for fantasy owners as a last round draft steal. Pay close attention to these guys during training camp to see how the Bruin’s roster unfolds. Of the 3 2 guys, Khoklachev’s game translates best to the NHL, IMO I think Vatrano has higher upside and is also younger than Griffith. Both could put up 50 points as soon as this year though. Lastly, draft Tukka Rask with confidence. He had a poor year last year, but is still in the top 10 conversation for goalies, and is definitely in the top 15. He is a guy who should guarantee owners 30-35 wins and usually has above average ratios.